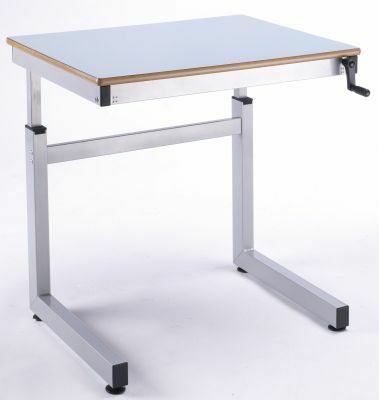 Ergonomic desk featuring a detachable hand crank option, adjustable height options and a handy height guide down the side of the leg. 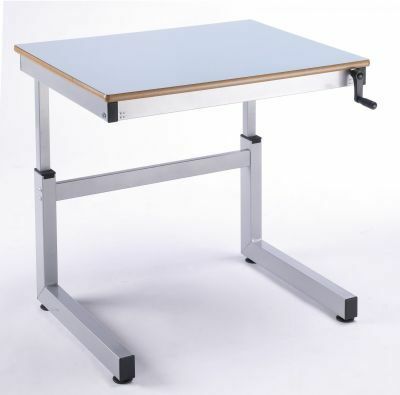 This product conforms and is in line with the Disability Discrimination Act and is ideal for use within schools and other public buildings. See below for customisable options. 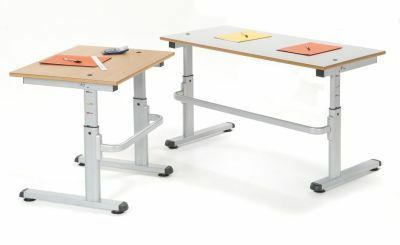 These tables are perfect for classrooms and are height adjustable making them ergonomic and suitable for a wide age range of children. 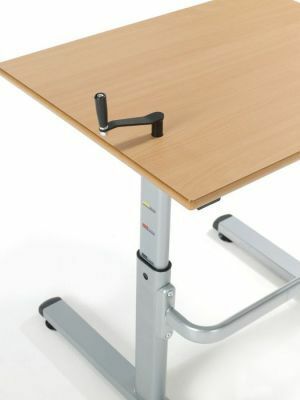 The crank that is used to higher or lower the table top is detachable and the table top is adjustable between 512mm-805mm. 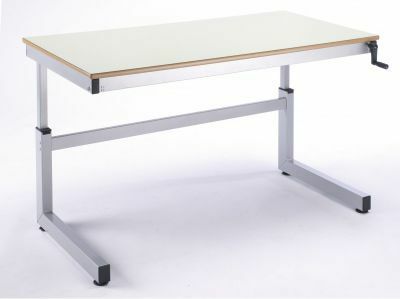 These tables have a handy height guide down the side of the leg and have a Silver frame finish. 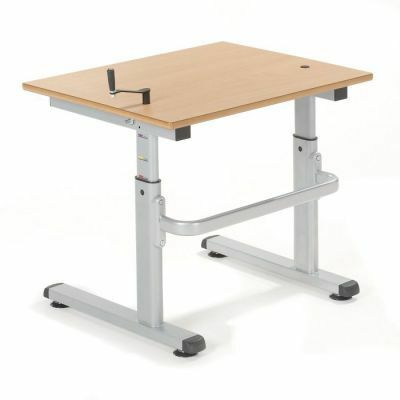 Available for free delivery to any area within the UK mainland in 4 weeks from order.